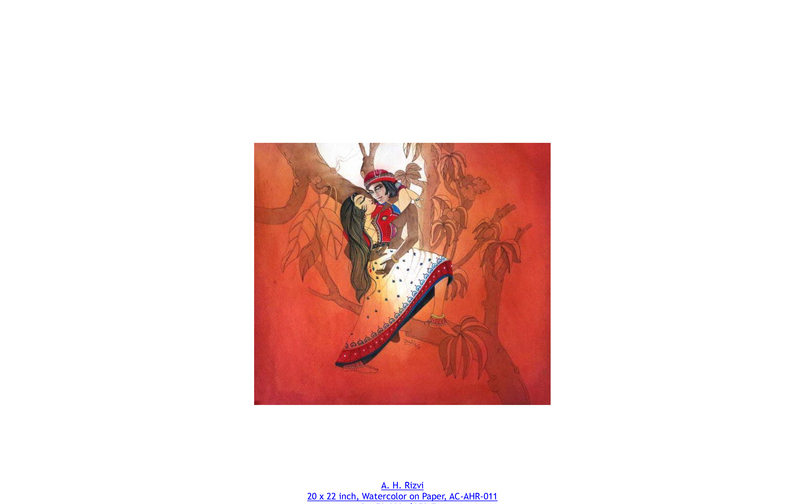 In collaboration with International Watercolor Society, Art Citi Gallery held the second part of the watercolor show titled ‘Hues of Diversity II’ on December 21st, 2018 at Beach Luxury Hotel, Karachi. The show consisted of 24 eminent and senior watercolorists from around the world who displayed an array of watercolor paintings. The distinctive and contemporary approach to the medium, while maintaining the transparency and beauty of watercolor, artists won the hearts of the art lovers. The artists spoke about their culture, people, traditions and lifestyle of their countries in a unique way. 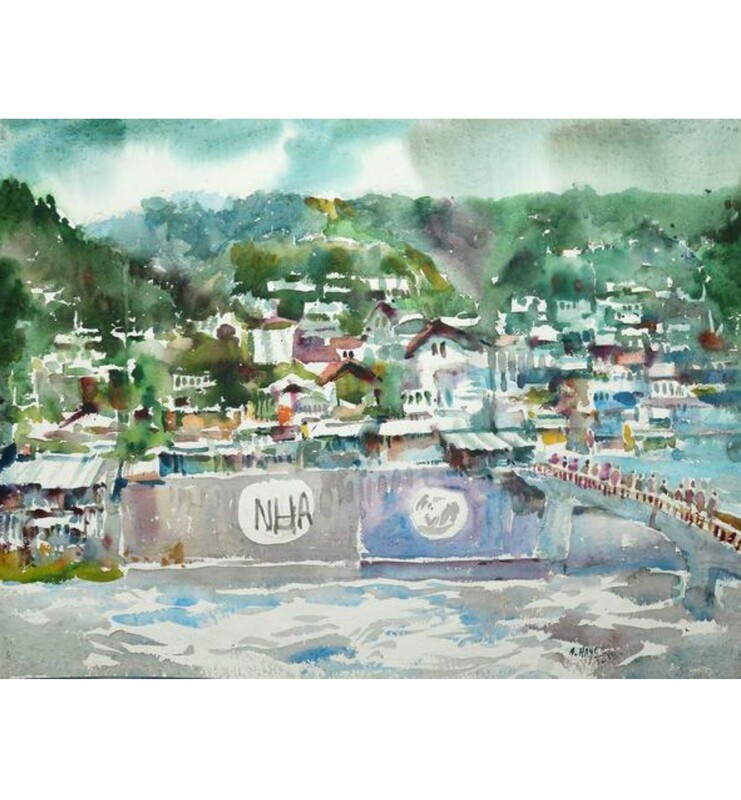 Abdul Hayee, a self-taught, famous and senior most watercolorist, highly influences many young artists towards watercolor medium. His masterly and controlled brush strokes produced vivid images of nature, and the colors used provoked an instinct of reality in the paintings. Ali Abbas Syed, internationally acclaimed watercolorists, Country Representative of Pakistan to International Watercolor Society, continued to paint the people of Thar including men, women, and children in their natural habitat; creating a sandy and dusty atmosphere in which they live happily. A H Rizvi is another watercolorist who has gathered fame from the world for presenting a mesmerizing and unique set of Mughal era Paintings. The figures and features of the men and women are overly exaggerated and painted in intimate poses to add an element of beauty and romance. Having a profound knowledge of his surroundings and speaking about the issues of Baluchistan, Akram Dost Baloch continued to express his strong sentiments towards the injustice in the society through his monochromatic watercolor paintings. 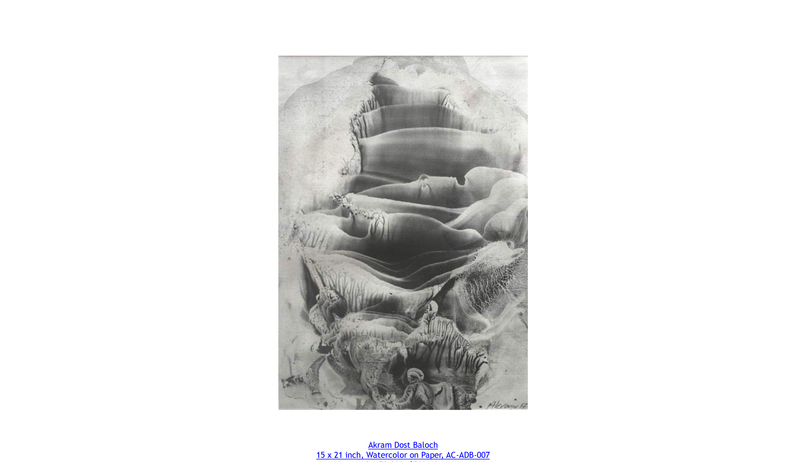 The watery flow of the paintings would compel an observer to think in different dimensions and perceive his work through multiple angles; hence one could perceive his paintings as landscapes or caves, waterfalls or distorted faces or destinations. The founder of the International Watercolor Society and serving this platform for more than 6 years, AnaturDogan has been spreading the message of peace and love among fellow countries and that could also be observed in his artworks. He enjoyed painting people belonging to different ethnicity and culture. He used loud hues to paint these faces and figures that spoke about happiness, peace, and love. “I have never seen such a huge collection of artworks, not only that but such amazing paintings that I can’t take my eyes off of them. I am in love with these paintings” Adnan Rashid, Manager Events, Beach Luxury Hotel. Cuneyt Senyavas, a Busra based artist, chose to paint the city life in watercolors. The choice of colors, different weathers showed in his paintings and deep understanding of the medium kept his paintings simple yet mesmerizing. Javed Tababaei also highlighted the beauty of city life by painting cityscapes in lighter colors to depict the peaceful life of the city and added darker tones to the building to make them visually interesting. Author of many art books, David Poxon believed in painting those corners or objects which human easily abandon. He enjoys watching the transformation of these objects and how nature treats them that is unheeded and forgotten. He painted old locked and jammed doors, rusted taps, and abounded basement that expressed his visual interpretations. Portugal based artist, Eudes Correia’s work centered upon ordinary people who might not important to the world but his work revolved around them. He used pastel colors to paints these humans in their natural habitat to portray the simple life an ordinary person lives. Another artist, Fu Man, from Hong Kong, made the daily life and scenes his subject to paint. Ghulam Hussain, a Pakistani artist, work revolved around the desert life of Hakra Civilization. He filled his canvas with a lot of bright colors that could depict the joy and happenings in the life of the people who live in deserts. He tried to highlight the beauty of the ordinary life in the desert and gave a chance to the viewers to see beyond the paintings through his work. Ghulam Nabi Qazi has been experimenting with watercolor medium and introducing new techniques. His main subject were old heritage, architecture, and buildings of Pakistan, mainly Hyderabad, Thatta, and Sukkur. He introduced these watercolor paintings in bright as well as monochromatic tones that tend to bring life to the dying architecture and also spoke about the significance of these buildings. “You can have a look at all the cultures from around the world in this huge exhibition. I am happy to see people from all age groups, senior artists, art students, collectors, mid-career artists, who have come to support national as well as the foreign artist who don’t even belong to Pakistan.” Fatima Ali, Committee member, International Watercolor Society. 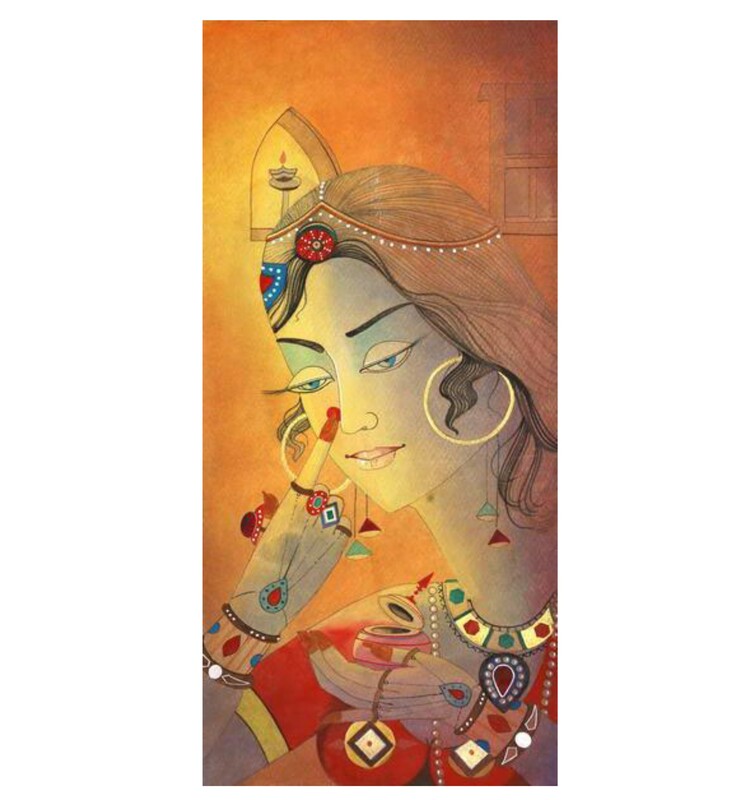 Inspired by the school of Mughal miniature art, Hajra Mansoor portrayed women as a symbol of beauty in her paintings. She explained the standards of beauty Asians have in their minds. She used bold colors to complement the beauty whereas exaggerated the beauty of these women. One could observe big colored eyes, delicate hands, and long hair. She decorated women in her paintings with bangles, jewels, and flowers and showed them beautifying themselves with kohl or being busy around pigeons. Iilya Ibryaev, a Russian artist depicted the beauty of nature without human intervention. He painted what solely belongs to nature. His masterly strokes brought the paintings to an extent of realism that one would doubt as if it is a photograph or a watercolor painting. He praised the beauty of nature that is untouched and eternal. A USA based senior watercolorist and known as a watercolor magician, John Salmenin displayed colorful eye-catching watercolor paintings of urban landscapes. His artworks were an extraordinary approach and exploration of the watercolor medium by fusing the transparency of watercolors with abstraction, thus exploring a contemporary side of the medium. Where other artists glamorized individuals and explored the medium in other ways, Linda A Doll and Sasa Marjanovic did not stress over the beauty of individuals but painted the still life and people. Doll called her paintings ‘Peoplescape’ in which she painted these individuals who do not dwell upon glamour of personality but stress over their identity. Whereas Marjanovic’s focused on portraits and figures whose eyes held all the expressions and seemed if they were speaking to the viewer. Nader Mohazabina, a Tehran based artist, portrayed the cultures and life of Tehran through his paintings. He attended the exhibition and loved how people responded to his artworks. He said, “I am glad to be in Pakistan and experiencing this overwhelming response of everyone”. Mohazabina also gave a live demonstration of watercolor painting. The process from mixing colors with water and then the light that slightly shined through the colors and reflected back to the eyes of the audience was mesmerizing. “The watercolor medium is believed to be a difficult medium, but as I just looked at the process in this demonstration, it was so peaceful and relaxing to my eyes that I would never want this artist to stop painting.” A visitor, Madiha Naz shared her thoughts. Nicolas Lopez from Peru is known for his black and white watercolor paintings. He adopted a different pattern and colors to show the diversity of the medium. He painted cityscapes and objects that usually ignored and abandoned by the human. The black watery images on white canvases were worth looking. An Italian artist, Pasqualino Fracasso beautified the nature, still objects and captured the beauty of nature on his canvases. He portrayed through his work the intervention of nature in human life like rain or snow and how it makes life worth living and beautiful. Qudsia Nisar is one of those Pakistani artists who has brought the watercolor medium to a contemporary extent. Nisar believed that physical reality is restricted and caged whereas the abstract reality is free and has no boundary; therefore she enhanced the true beauty that is abstract, in her artworks. Two artists from India, Rajat Subhra and Sanjay Desai beautifully portrayed the cityscapes. The balance of tones and shapes were noticeable that could also separate the portrayal of a busy moment and a quiet moment of the city life. The wise choice of the colors, shadowing and detailing of the artworks made the paintings more attractive. Ze Ze Lai put all her imaginations on the canvases to create mystical scenes. She painted flowers and birds in bright and soft hues. With her masterly and manipulative strokes, she created an illusion as if one is seeing these images in a dream. She painted birds as a symbol of peace and flowers as of love. One’s eyes could never get tired of gazing at these alluring master’s pieces that, one after another, tells a new story of different cultures, traditions, and lifestyles, through watercolor paintings. Many artists introduced new techniques to stretch the boundaries of watercolor medium towards modern. ‘Hues of Diversity II” was opened at the Beach Luxury Hotel and continued at the Art Citi Gallery from Dec 21st, 2018 to Dec 24th, 2018.